Sesame is one of the oldest and widely known oilseed crops. This nutty flavor sesame oil seed is a great source of edible oil. Though India sesame seeds are rich source of edible oil and consider good for health for its Nutritional content, consuming food that contains sesame or sesame oil can trigger allergic reactions to someone who has sensitivity to it. Sesame Seeds can be divided in various kinds but are mainly divided in 3 types based on color i.e. white sesame, black sesame and golden sesame seeds. This kind of sesame seeds contain a high level of antioxidant and regarded for its medicinal properties. 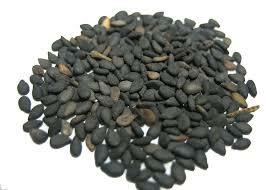 Heights quality of oil is produced from Black sesame seeds. White sesame seeds are most often added in backed goods such as buns and breads. White sesame seeds contain 50% oil of its weight. 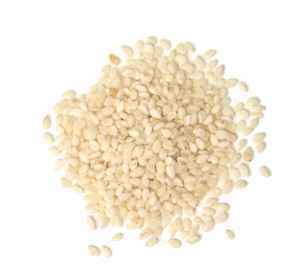 White Sesame Seeds from Gujarat is widely preferred due to its uniform colour and bold size.